We were sad to say goodbye to Hilary Elgar (Services Manager) and Kana Nobuhara (Customer Service Coordinator – Social Outing) at our Easylink office but we are excited to welcome back Vivienne Garden from her maternity leave and we would like to welcome our new Service & Operations Manager, David Morris. 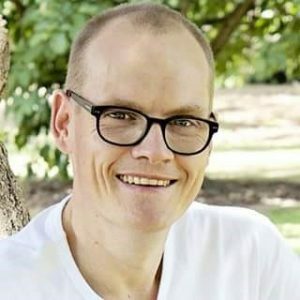 David has an extensive experience in community sector and management, having worked in the Aged Care, Mental Health and Charity Sectors for the past 18 years. David come from a social work background and has worked in the Aged Care Sector as a Case Manager for Home Care Packages for the past 6 years. David join Easylink in late February 2018 as the Services & Operations Manager. He manages day to day operations to ensure the organisation initiatives are progressive and leads a dynamic team of staff and volunteers to ensure Easylink provides quality service and being a service by choice to our customers.